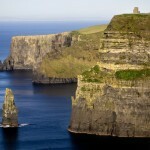 This Wild Atlantic Way is an excellent way to tour Ireland the west section of the world famous unspoilt driving route. 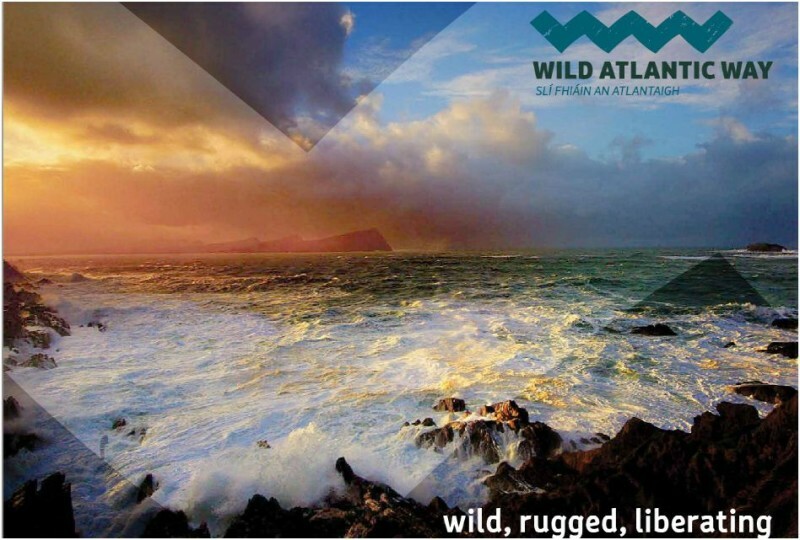 Out on the very edge of Europe , the Wild Atlantic Way stretches for 2500km along the western seaboard . This self drive route is split into 4 sections – The North West, West, Mid West and South west. This 4 night tour visits the West section of the route visiting areas such as Connemara , Galway bay and The Cliffs of Moher. The Wild Atlantic way is full of amazing scenery and astonishing highlights. Make sure to bring a camera to capture the wild, raw scenery that you will experience along the longest defined coastal drive in the world! Tour Ireland on the Wild Atlantic Way Today! This route will take in the region of 80 minutes or so. Departing Bunratty, travel north to the provincial town of Ennis in County Clare. As well as presenting a typical example of Irish town life, Ennis is the capital of County Clare. Continuing on from Ennis you will find the village of Kilfenora and on to the magnificent ‘Cliffs of Moher’. The Cliffs lay claim to one of the most astonishing views in Ireland, on a clear day the Aran Islands are visible in Galway Bay as well as the valleys and hills of the Connemara region. It is one of the highlights of the Wild Atlantic way. The Cliffs of Moher rise from Hag’s Head to the south and reach their highest point (214 meters) just north of O’Briens Tower. There are over seventy megalithic tombs in The Burren region of County Clare, the most well known and most easily accessible being the Poulnabrone Dolmen Tomb. Radiocarbon dating suggests that the burials in this tomb took place 3800 and 3200 BC. The Burren lunar like landscape is an area of limestone rock covering imposing majestic mountains, and tranquil valleys with gently meandering streams. The village of Doolin is a small fishing village, set in a sandy bay some 3km from the northern end of the Cliffs of Moher. Doolin is world-famous for its wealth of Irish folk music and in recent years has been attracting crowds to spontaneous sessions and festivals of Irish and international music. There are many music pubs and restaurants to be found in this village. Continue o tour Ireland and depart for Clifden via Spiddal and Roundstone. Spiddal is a lovely coastal village where Irish is spoken (yes of course they speak English too!). Visit the Ceardlann Craft Centre in the village. This houses craft workers specialising in a range of crafts from basket making to Celtic Coin jewellery and rock ceramics. Continue your journey to Roundstone where the famous bodhran drum (pronounced bowrawn) maker Malachy Kearns has his workshop and retail centre. Malachy made the bodhran drums which feature in the Riverdance production worldwide. From there head to Clifden, known as the ‘Capital’ of Connemara, it is a lovely town with quaint and quirky shops, pubs and restaurants. Pop into Kings pub or The Abbeyglen Castle Hotel for lunch or coffee. Take the Sky Road out of Clifden. 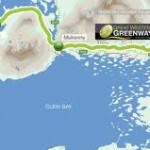 The Sky Road is an exhilarating 11km/7ml circular drive west of Clifden. Leave Clifden passing the Abbeyglen Castle Hotel (on your left). About 400m beyond this hotel look back towards Clifden. The 12 Bens provide a wonderful backdrop to the town and along with the two church spires; they give Clifden its distinctive skyline. The loop brings you back on to the main road to Letterfrack and Leenane. 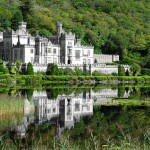 This stunning scenic route takes you onto Kylemore Abbey, one of the most beautiful images in Ireland and a must see. Kylemore Abbey and Visitor Centre is a magnificent neo-gothic structure built in the heart of the Twelve Bens Mountains and surrounded by Victorian walled gardens of splendour. It is run by the Benedictine Nuns who fled from Belgium in the 1920’s and ran it as a convent and school for girls until recently. Continue on to Killary where a magnificent fjord opens up the landscape. If there is time, hop on the 90 minute cruise from Killary harbour on the fjord for another angle of the beautiful rugged coast. Continue on to the scenic coastal route to Louisburgh, where you now enter County Mayo. Arrive to Westport, County Mayo. Recently polled in ‘The Irish Times’ national newspaper as the most desirable place to live in Ireland, and is a regular award winner in our annual Tidy Towns awards. A wonderfully laid out town it has elegant Georgian streetscapes and an effortlessly friendly character making it an authentic but lively holiday base. Visit Matt Molloy’s traditional Irish music pub, Westport Town. Matt Molloy is a member of the world famous traditional Irish music group, ‘The Chieftains’ and he is the owner of the pub. Take the opportunity to discover the Greenway Route, a bike and walk route which replaced the old rail route stretching from the town centre all the way to Achill – over 42 km away. It offers a leisurely trek through the countryside and bike hire is available from shops on most of the towns on the route. Take the route to Mulranny and drop into the Mulranny Park Hotel which sits on the Greenway route and offers bike for hire. John and Yoko once stayed here. Achill Island is an island of splendid isolation. Accessible by roadbridge, glorious cliff scenery, spectacular drives and walks and beautiful beaches, particularly the Keem Strand, are a sight to behold. Head on to Belmullet Town with the beautiful bays of Broadhaven on the north side and Blacksod on the south end, the peninsula is a wonderful area of charisma and natural charm. Overnight in Galway and depart from Shannon airport on day 5. What a fantastic way to tour Ireland! The Great Western Greenway’s development was made possible by agreement of local landowners who allowed permissive access to users to pass through their lands. The route offers gentle gradients and some of the most idyllic scenery in the West of Ireland. It passes by some of the West of Ireland’s most dramatic mountains and offers magnificent views of Clew Bay and its many islands. The route forms part of the National Cycle Network, and it is the longest off-road cycling experience in the country. The ends of the Greenway lie at Westport and Achill, both in County Mayo and the route passes through the picturesque villages of Newport and Mulranny. What an amazing way to tour Ireland!